I want to start this review off by saying that the Royal Vegas casino is good. In fact, it’s one of the best online casinos out there. In an ocean of me-too casinos cropping up all over the place, by the thousands, the Royal Vegas Casino stands tall in the rarified air inhabited only by venerable household names such as Unibet. Now that you know how I feel about the Royal Vegas Casino, let me explain what exactly it is that makes it so good. The Royal Vegas Casino clearly models itself after the brick and mortar casinos of Las Vegas. It exudes the glamour and luxury of the best Vegas casinos, in virtual format. 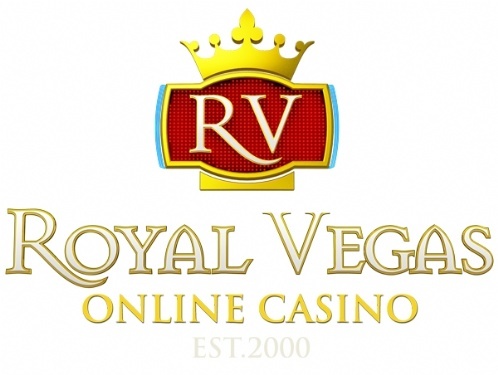 Logging into the Royal Vegas is an unparalleled experience in the online casino world. Backgrounds are detailed and realistic. Graphics are state of the art. The prizes range from huge to so big the mind can barely grasp their scope. The games are varied and fun. And the user experience is beyond reproach. This is a first class casino all the way. It would not be remiss if sitting next to the Caesars Palace or The Wynn casinos, except that this is a digital experience all the way. The Royal Vegas Casino distinguishes itself from the competition in that it allows several different ways of logging in. Mac users, for instance are not left behind in this case, and can play just as the PC users can. But not only. Players can choose to play in a browser window, by utilizing a handsome Flash-based interface that can be accessed from any browser without the need to download any software. Access to the casino is now available for smartphones as well, thus freeing players to play from wherever they want. The platform in use is rock solid and doesn’t suffer from the server disconnects some of the lesser casinos are prone to. The owners of Royal Vegas went all out to ensure the hardware and software are on the bleeding edge of technology and can keep up with the rigors and demands of the modern internet. The accessibility is certainly nice. But just because the Royal Vegas Casino is accessible, does it mean it is honest and reputable? In this case, the answer is a resounding yes. The Royal Vegas Casino is licensed by the LGA (Lotteries and Gaming Authority) in Malta. As a result, they are governed by the rules and regulations of the EU. So what? So this actually makes all the difference. The EU has rigorous standards of operations in place and affords players a level of protection not offered elsewhere. In addition to EU membership, the Royal Vegas Casino belongs to the Fortune Lounge Group. Needless to say, they have an earned reputation of excellence to uphold. By default, the Royal Vegas Casino offers the highest standards of security and privacy to registered users. Transactions go through 128-bit SSL encryption, which is the same level used by top banks. On top of this, they feature the eCOGRA seal of approval, which is handed out only to casinos that pass monthly third-party regulation to ensure that the software is safe and fair. There are over 390 games to play and all of them are of top quality. Of course they have lots of slots, including progressive jackpot slots, which feature prizes so big that winners never have to think about money for the rest of their lives. The slot machines are state of the art and feature the same quality as their Vegas counterparts, complete with the graphics and sounds one would expect. Table games are beautiful, easy to use, and operate in a perfectly naturalistic way thanks to the excellent RNG (random number generator) software in use at the Royal Vegas Casino. Casinos are built on player satisfaction, which ensures their return. The Royal Vegas Casino takes player satisfaction very seriously. They offer spectacular bonuses, such as the astounding $/€/£ 1,200 Free to play credits program for new players. A multi-tiered VIP program based on loyalty points is also in place. Each wager earns players a loyalty point—earned whether the player wins or loses. These points add up, and can be later redeemed for cash credits or toward the VIP program. Customer service is available 24/7/365 via live chat, email, skype, or a free international telephone number. Customer support is available in multiple languages, and operators are courteous and helpful. There is nothing they cannot resolve. I heartily recommend the Royal Vegas Casino if you haven’t tried them yet. The online casino world is a vast desert where quality is concerned, but the Royal Vegas Casino is an oasis in the desert, offering an unparalleled experience. After stopping in, you most likely won’t want to leave. This entry was posted in Casino and tagged Royal Vegas Casino. Bookmark the permalink.